Police activity in Dunluce Avenue in south Belfast, at the scene of an ongoing incident. 'PRESS ASSOCIATION Photo. Police have confirmed they are at the scene of an ongoing incident in Belfast. 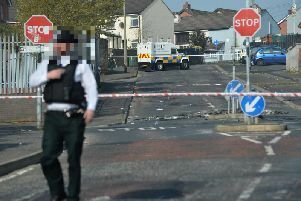 A substantial police presence can be seen in the southern side of the city near Belfast City Hospital.